Named the county seat in 1889, Santa Ana is also known as the financial and governmental center of Orange County. It's been in recent competition with its fast growing neighbor, the city of Irvine in regards to commercial growth. Working over the years to revitalize its downtown area, Santa Ana now features The Santa Ana Artist's Village which was created around Cal State Fullerton's Grand Central Art Center. 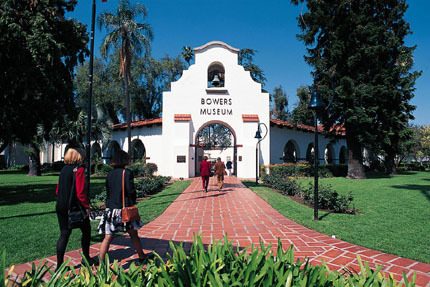 The village includes the Bowers Museum, the Old County Courthouse as well as several theaters and art galleries. Within our pages you will find Santa Ana entertainment and Santa Ana attractions. We proudly showcase the finest Santa Ana shopping and Santa Ana services to suit every lifestyle. For Santa Ana dining, we have a list of great restaurants either in the city or near by . 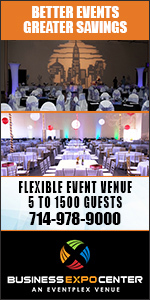 We are also dedicated to presenting the best of Santa Ana business and professional services to meet your needs. If you're interested in the history of Santa Ana, it can be found along with Santa Ana general information, Santa Ana educational resources plus Santa Ana real estate and housing information for both residents and visitors alike. Annual events in Santa Ana and links to local organizations in Santa Ana are listed so you may participate in all the city has to offer.